For anyone interested in the history, heritage or archaeology of the capital, London Archaeologist is essential reading. 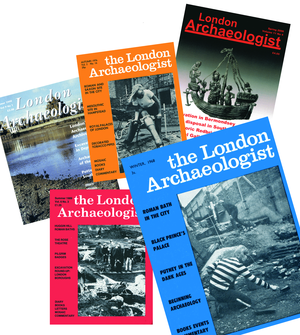 Published by the London Archaeologist Association since 1968, it is a periodical of record for the London area, covering major archaeological discoveries, events and issues. Content includes excavation reports, historical articles, artefact and finds studies, environmental archaeology reports, exhibition reports, book reviews, news and commentary. It has recently been redesigned and expanded to cover interviews, profiles of local societies and museums, previews of forthcoming monographs and other features. The digitised articles can be found in the ADS Library More recent volumes can be obtained from the London Archaeologist website.